Why Stanley Kubrick chose to work with Arthur C. Clarke on 2001: A Space Odyssey? How did they collaborate on the creation of the 'paranoid' Hal 9000? To what extent was Kubrick involved in writing the book that came out in May 1968? Why was their next collaboration - the development of Brian Aldiss' Supertoys last all summer long in 1992 - not as succesful as the first? 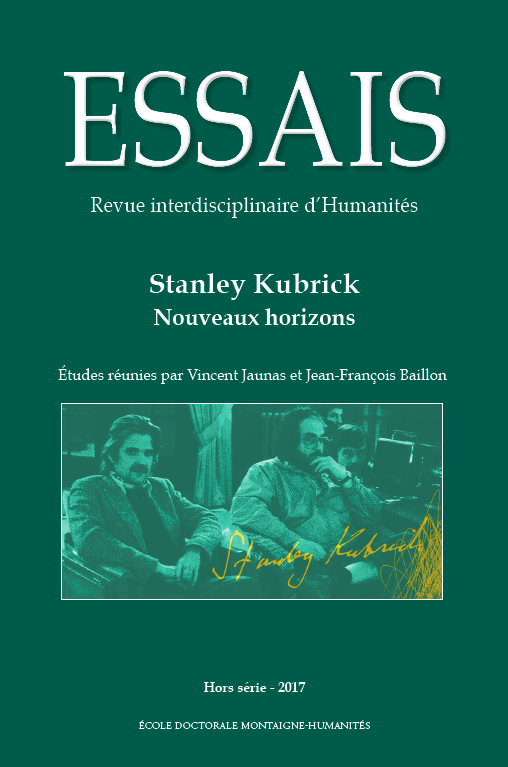 Read about it in my essay “Dear Arthur, what do you think?” The Kubrick-Clarke collaboration in their correspondence from the Smithsonian and London Archives, just published in the latest issue of Essais, the scientific journal of the Université Bordeaux Montaigne (along with others very interesting works from Filippo Ulivieri, Rod Munday, Matthew Melia, Vincent Jaunas, Dijana Metlic, Manka Perko, Loig Le Bihan, etc. ).